Moss sporophytes emerging from a clump of moss. By Bob Blaylock. Image licensed under creative commons by Wikipedia. 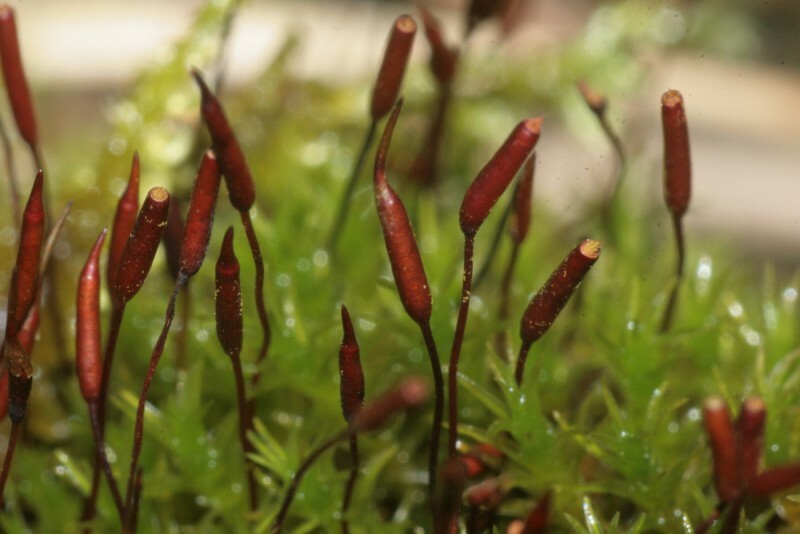 Moss sporophytes are tiny, slender structures that pop out of moss in droves. Their beauty, diversity, fun-factor, and cute little caps continually amaze me. Like a big buzz cut, they tickle my hand as I graze them. If I am lucky, they are ripe and release their spores in a small flurry, sending a miniature cloud of dust eight inches forwards. The spores melt away into the air, quickly invisible to the naked eye. Usually, I brush the clump again and again, and the sporophytes repeat the trick until the caps are emptied of their spore dust. Eventually, some of the spores will germinate to grow new moss plants. Once the caps pop off the sporophytes, you can tell they are ripe or almost ripe. By Hermann Schachner. Image licensed under creative commons by Wikipedia. Over the five years that I earned my living teaching outdoor programs, I taught several hundred people about sporophytes. I would have the group help me find a promising patch of moss, and with reverent enthusiasm, I would show my students the petite sporophytes. Then, I would share the three reasons that sporophytes had captured my heart to become one of my favorite things in the forest. 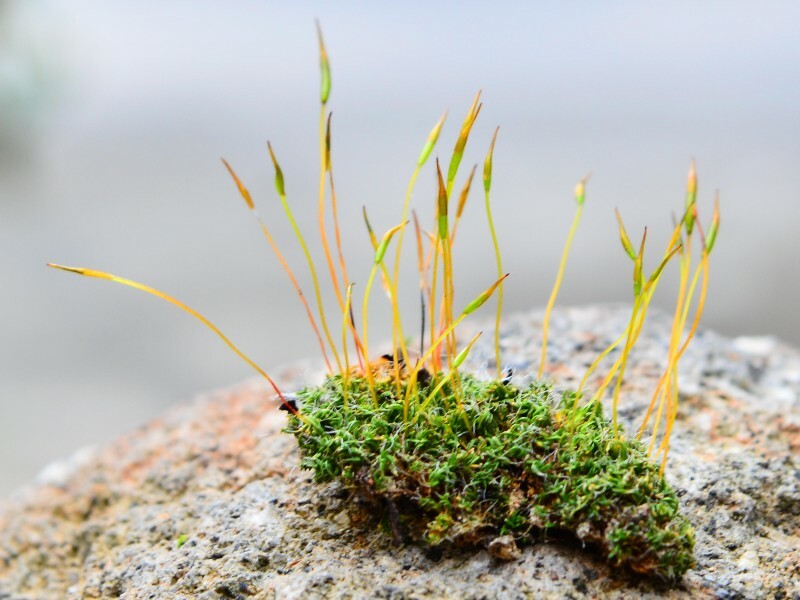 First of all, I didn’t know that they existed until I was in my 20s, and once I knew to look for them, I saw them almost everywhere there was moss. This was an astounding discovery, and one of the most poignant, eye-opening experiences of my college years. I had been oblivious to the ubiquitous and entertaining sporophytes all around me, and it was amazing to have my eyes opened just by learning to look for them. An example of moss sporophyte diversity and elegance. By Vaelta. Image licensed under creative commons by Wikipedia. Next, I would demonstrate the gorgeous diversity of the sporophytes. The stalks are often iridescent, and many of them exhibit a gradient of hues. For example, some range from gold to deep, metallic purple.The spores are also often brightly colored, sometimes in surprising ways. I have dissected sporophytes that revealed bright orange, white, or dayglow green spores. 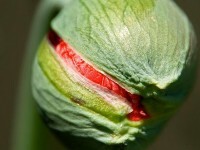 And the stalks are always fine and flexible, which means that they “boing” in a tactilely-satisfying way. Finally, I would show the participants, adult or child, how fun sporophytes are by running my hand through the tuft. If I judged the clump well, and was lucky, a cloud of spores would gently whiff from the cluster of stalks. Everyone would take turns helping the spores fly free. Invariably, some excited participants would spend the rest of the program looking for other clusters of ripe moss sporophytes. 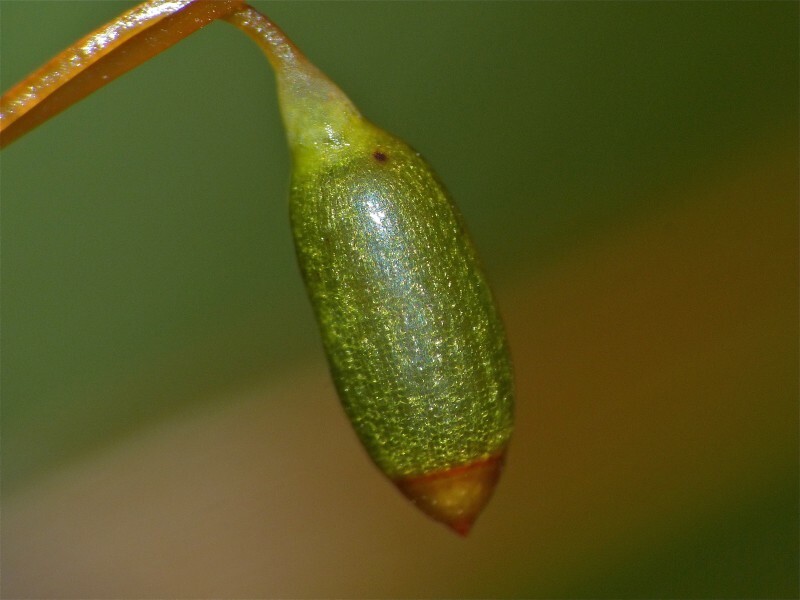 A close-up of a sporophyte capsule. By Bernard DuPont from France. Image licensed under creative commons by Wikipedia. 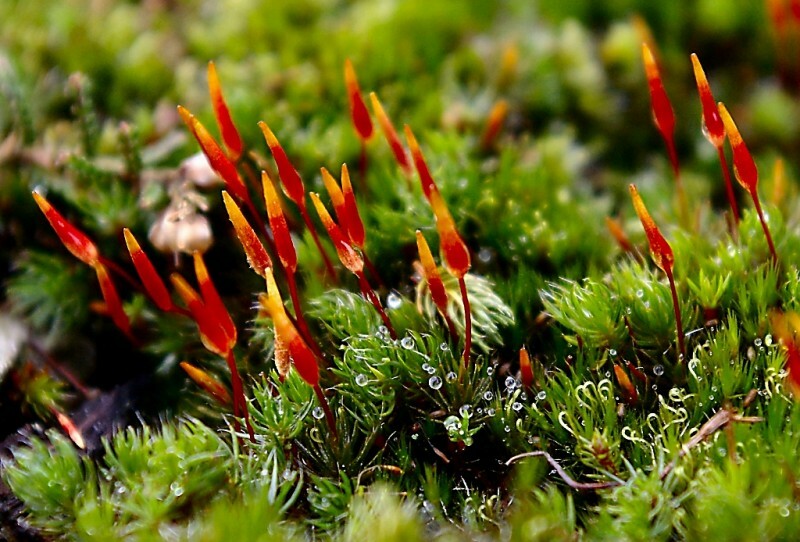 Moss sporophytes illustrate some of the most important reasons that humans need the natural world. They invoke wonder, are beautiful and fun, boggle minds with their diversity and scale, and inspire curiosity. For those who have never really noticed them, they encourage humility by reminding us how little we see and understand each day, even when it’s right in front of us. Moss sporophytes provide an opportunity for people to interact with nature in a hands-on way, and in doing so, people help the little plants send their spores into the wind. The experience is tactile, guilt-free, and doesn’t require any special equipment. As the spring rains feed the forests, fields, and yards around you, keep an eye on your local moss patches. The mossy marvel of a ripe sporophyte might be waiting at your feet. 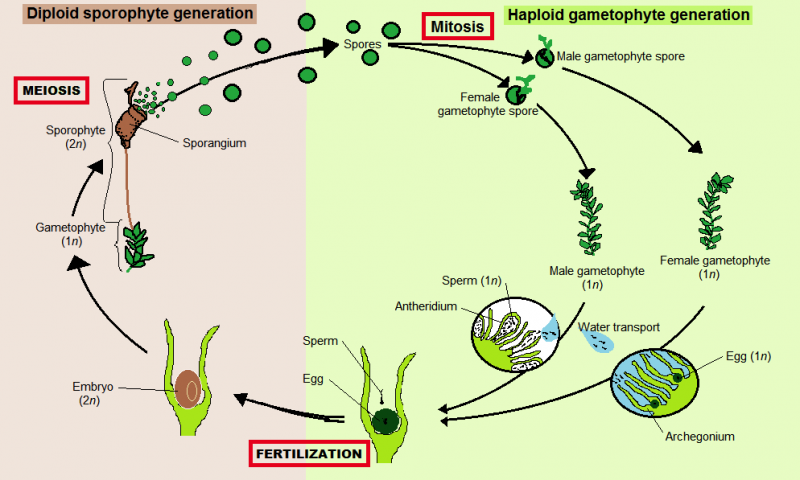 The moss life cycle. The green moss is the gametophyte, which gives rise to sperm and eggs, which combine to grow a sporophyte from the tip of the gametophyte. The spores germinate to grow more gametophytes (the green moss). By Htpaul. Image licensed under creative commons by Wikipedia. “Feed Me” by Renee Silverman. Image licensed under creative commons by Flickr.com. From grizzlies to wolves to the people-eating plant in The Little Shop of Horrors, carnivores capture our imaginations, and sometimes send shivers down our spines. So, imagine my astonishment and wonder when I recently learned that below the ground, at a microscopic scale, there are fungi that hunt and eat live animals. Fungi. Hunting. This astounding news took my understanding of the weirdness and wildness of fungal diversity to new heights. I knew that some fungi kill our plant crops, such as the wheat rust that Ben described in his post last month. I also knew that some fungi are top-tier recyclers that break down 85 billion tons of carbon each year as they transform dead material into soil and food for their growing bodies. But I had never heard that some fungi snare, trap, and devour nematodes, amoebas, and bacteria in the soil. Images of a microscopic fungal safari began to flit through my mind, prompting me to spread the word—in classes, at dinner parties, and while blogging. 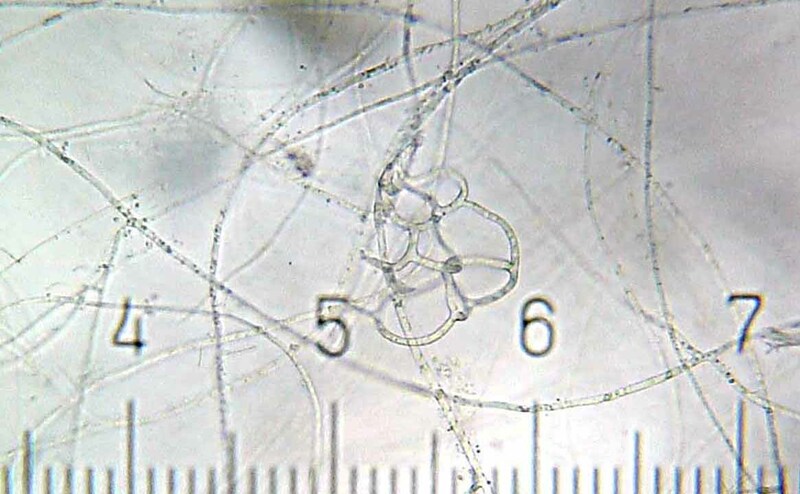 A fungus of the genus Arthrobotrys, showing adhesive nets which it uses to trap nematodes. “20100828 005957 Fungus” by Bob Blaylock. Image licensed under creative commons by wikipedia.com. One such story starts with the large fungal spore of Arthrobotrys anchonia, our first creature-in-profile. Fungal spores are minute reproductive structures that help spread the relatively immobile creatures across the land. This particular spore is packed with enough energy to sprout a hypha, a root-shaped structure that is the main body of the fungus. As the hypha develops, it also grows circular, pressure-sensitive snares. Once these traps are set, the fungus waits, living on stored energy until a nematode inadvertently wanders into one of the rings. As soon as the snare senses a touch, the triggered cells rapidly expand and the loop tightens around the nematode. Fungi don’t have mouths, so the fungus penetrates and grows into the nematode’s body to consume the meal. This first food is critical to the life of the fungus; if it doesn’t capture prey before it uses up its stored energy, it withers and dies. “Oyster Mushroom” photograph by Aaron Sherman. Image licensed under creative commons by wikipedia.com. Even the more familiar oyster mushroom, Pleurotus ostreatus, is a well-equipped hunter. The fungus’ hyphae exude droplets of a paralyzing toxin into the soil. When nematodes unwittingly bump into these stupefying droplets, the fungus grows into the immobile prey and digests the quarry. Bacteria suffer a similar fate when they encounter this deadly trapper. Fungi never cease to amaze. So next time life seems mundane, investigate one of these mysterious creatures. 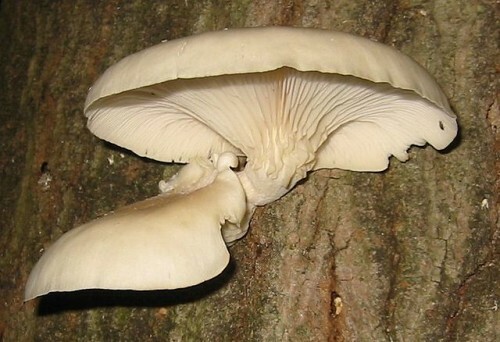 Scientists estimate that only 10% of all fungal species have been described. It is truly a frontier waiting to be explored. 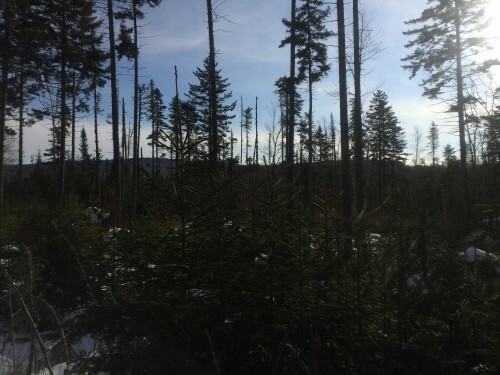 Emma Stuhl is a second-year student in the Field Naturalist Program. Much thanks to Terry Delaney’s Plant Pathology course for inspiration and species information. An insect death trap resides in our local wetlands. 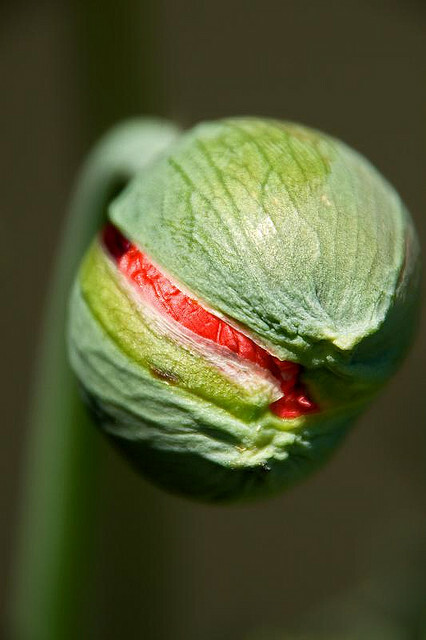 It’s a grisly tale of plant versus animal, with an unusual twist. Using a modified leaf to create a snare, the Northern Pitcher Plant is one of Vermont’s most unusual and sinister herbs. 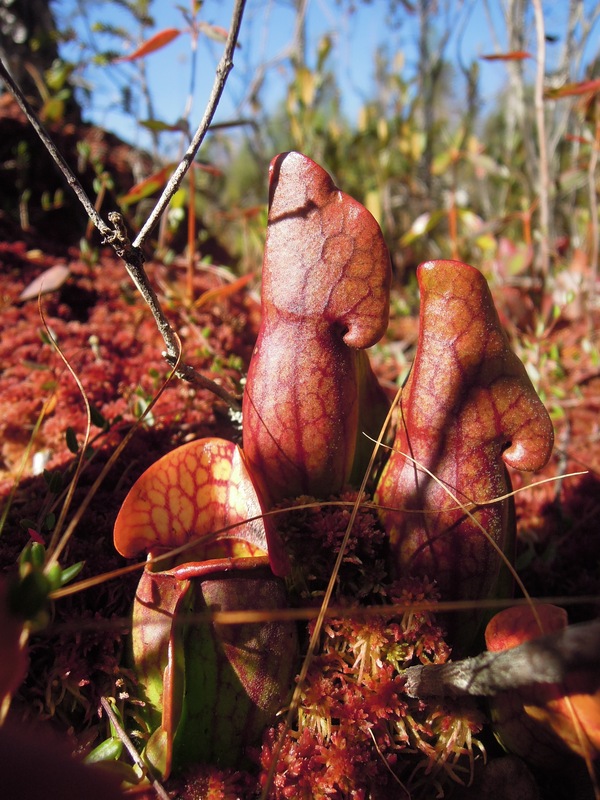 Pitcher plants live in wetlands where the peat soil is low in nitrogen. 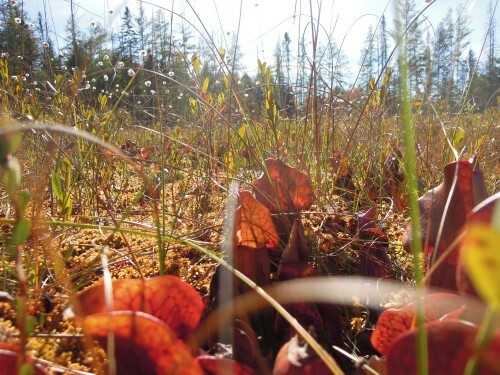 Instead of using extensive root systems or relationships with nitrogen gathering fungi, pitcher plants have evolved to lure, catch, and digest insects to meet their nutritional needs. From inside its columnar leaf, the pitcher plant emits a sweet smell that attracts insects. Curious bugs fly into the leaf, where they realize that there is no delicious nectar awaiting. When they try to fly out, downward pointing hairs impede their escape. In the pitcher, the insect eventually drowns in a pool of digestive enzymes, insect larvae, flesh flies, and bacteria. 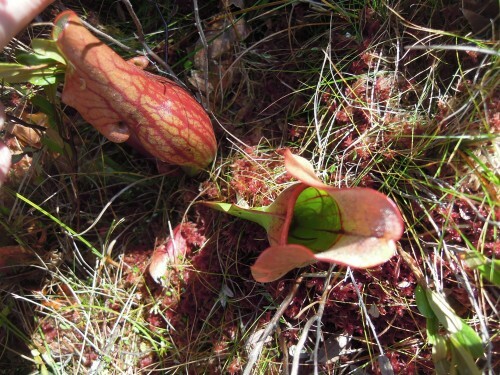 This slurry of creatures and chemicals break apart the insect, allowing the pitcher plant to absorbs the precious nutrients that the body contained. So head on out to your local bog and watch the saga unfold. Witness the demise of a moth or a gnat. You might even see something unusual, like a salamander in a pitcher (photo below), that will make you leave with some new questions and a wild story. Emma Stuhl is a first year graduate student in the Field Naturalist Program. She is glad that meat eating plants are generally quite small.